"The Motivation Manifesto is a poetic and powerful call to reclaim our lives and find our own personal freedom. It’s a triumphant work that transcends the title, lifting the reader from mere motivation into a soaringly purposeful and meaningful life. I love this book." — Paulo CoelhoThe Motivation Manifesto is a pulsing, articulate, ferocious call to claim our personal power. World-renowned high performance trainer Brendon Burchard reveals that the main motive of humankind is the pursuit of greater Personal Freedom. We desire the grand liberties of choice—time freedom, emotional freedom, social freedom, financial freedom, spiritual freedom. Only two enemies stand in our way: an external enemy, defined as the social oppression of who we are by the mediocre masses, and an internal enemy, a sort of self-oppression caused by our own doubt and fear. The march to Personal Freedom, Burchard argues, can be won only by declaring our intent and independence, stepping into our personal power, and battling through self-doubt and the distractions of the day until full victory is won. Recalling the revolutionist voices of the past that chose freedom over tyranny, Burchard—at times poetic yet always fierce—motivates us to free ourselves from fear and take back our lives once and for all. 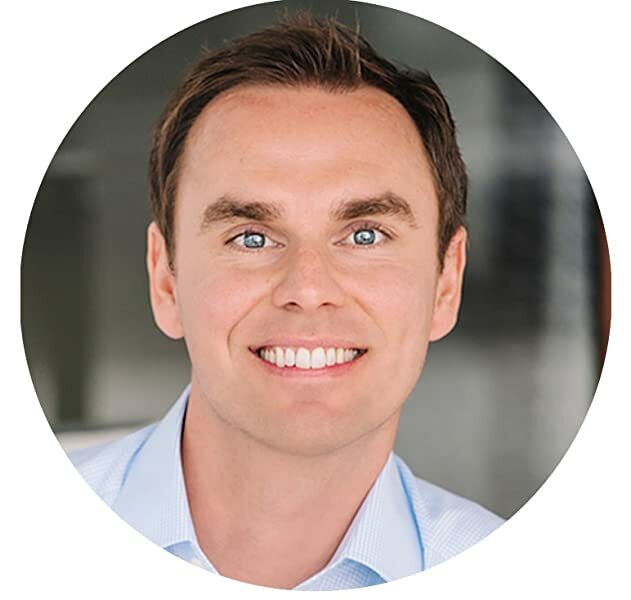 Brendon Burchard is a #1 New York Times best-selling author whose books include Life’s Golden Ticket, The Millionaire Messenger, and The Charge: Activating the 10 Human Drives that Make You Feel Alive. He is also the founder of High Performance Academy, the legendary personal development program for achievers, and Experts Academy, the world’s most comprehensive marketing training for authors, speakers, life coaches, and online thought leaders. For these works, he has gained millions of followers online, and Larry King named him "one of the top motivation and marketing trainers in the world." After surviving car accidents, brain injuries, countless failures, and the demands of running his global online training company, he has dedicated his life to helping others find their charge and share their voice and experiences with the world. 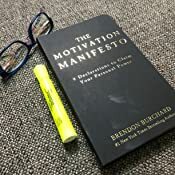 Meet him, and receive free resources on motivation and high performance, at BrendonBurchard.com. 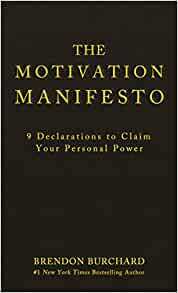 Start reading The Motivation Manifesto on your Kindle in under a minute. I was super excited about Brendon putting out a new book as I am a fan of his intelligent, practical, strategic and entertaining delivery of highly valuable information. I have read his other books and attended his seminars. So I guess I had high expectations for this book. As an author myself in this 'self-help' arena; I think an author needs to focus on two main things. Engaging and entertaining the reader is the first part (it needs to be fun) and the second part is to impart useful and relevant information, insight, tips and tools. 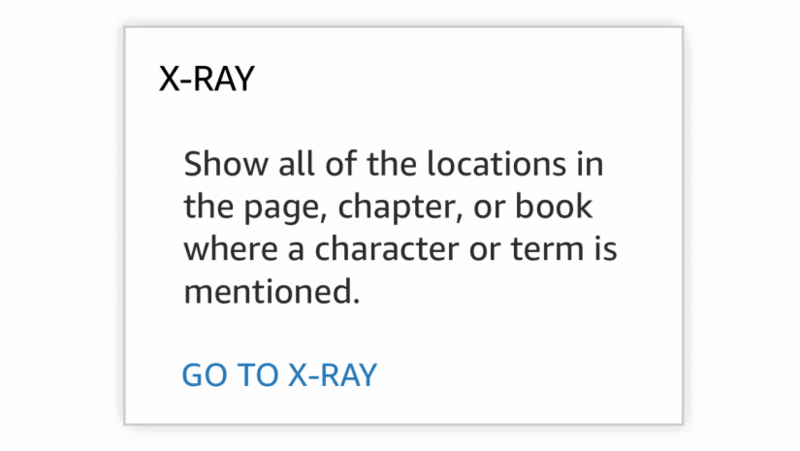 This way the reader is emotionally inspired plus has the tools to better their life. This is what I was hoping for with this book. But I was not really motivated by the end (more frustrated) and I found myself 'skimming' rather than reading the book to find the gems. There were definitely some great bits, but infrequently scattered throughout. 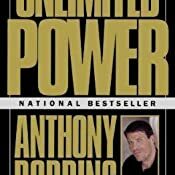 A huge portion of the book was focused on those 'idiots', 'fools', 'losers', 'naysayers', or 'bastards' that hold you back. This could have been mentioned a lot less, and the positives we needed to incorporate or focus on could have been the majority of the content. The writing also came across for me as a bit of a rant or bland (I am having some trouble clearly articulating why the delivery of the prose did not resonate with me - as I was surprised when it didn't). This book is touted as a New York Times best seller, but I don't think it is a result of the masterful content or delivery of engaging prose or the awesome tips to crank up your motivation; but because of the expert and very strategic online marketing by Brendan and his large band of affiliates. So my recommendation is if you have high expectations of this book you might be disappointed. If you wanted to feel motivated and inspired after this book, it might miss the mark, unless you are very new to this content. I actually feel a little bad because I recommended this book to a lot of people based on Brendan's past work, rather than reading it first. I definitely took that personal lesson away myself. Beautifully written, especially the opening Declarations (I absolutely loved the first 1/4 of this book). But as I went deeper into the book I kept finding an underlying current of contempt, even hatred, for that which we are supposed to "overcome." That is, the weak-willed, the cowardly masses, the small-minds, the fearful. The thing is we are all that stuff at one point or another! We are all that stuff along our whole life-path. There's never a point at which we've totally "transcended" any of that. Brendan implores us to Declare War on these "negative forces" ... but these negative forces are part of us, in that they are strategies we've developed to deal with a confusing and challenging world ... if we declare war, we do so against ourselves! This leads to self-hatred, frustration, loathing and all the vicious cycle we see repeating all around us ... people trying to lose weight, make wealth, achieve some new goal, but getting burned out and giving up largely because they dont understand what's creating the resistance, and devote a huge amount of energy trying "to fight it," not realizing that you can't win when you fight yourself!!! It only ends in failure. Ultimately, this book takes a very Ancient Greek, even Victorian, high-idealized view of humanity, thinking that simply imploring us to live to the Highest Standard Imaginable (lots of caps words are used to emphasize the Highest Form of the Word) will get us there ... or perhaps at least get those "Worthy of It" there. This is basically just the Western Approach, even the Old Testament Biblical approach, which causes a lot of pain, because it always sets the individual next to the Ideal, and against an ideal the individual must always fail. The real danger of Burchard's work is that he presents it eloquently, emphatically and matter-of-fact-end-of-story-no-more-argument-style enough that I think many folks will be tempted to turn off their inner-critic whilst reading it. 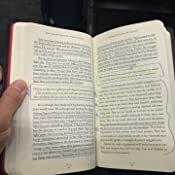 Dont buy into Burchard's sold fear that if you question the material in the book you might just be one of the "small-minded fearful ones" ... if you're going to read this book do so with an open heart and very open mind and let your critical mind stay active, watching your responses from a distance. If you feel your heart pinching or any self-loathing developing while reading the book, take note of that, and go ahead and question if it's a direct result of the language, tone and underlying attitude Burchard is using (don't immediately blame yourself!!!). If you're looking for something very balanced, realistic, practical and effective beyond a purely theoretical and poetic level, I'd recommend Jack Canfield. I don't have any interest in his stuff byeond personal experience of it. Im promoting it here because Im impressed with it. Much moreso than Burchard's work. Final note, wanna respond directly to a statement Burchard makes: "We can punish a selfish and callous child without becoming selfish or callous." The statement is such BS I almost don't have words to go into it. It's a quintessentially archaic view of humanity and really gives a one-sentence window into the contempt Burchard has and the pain he may be hiding/stuffing/suppressing with his idealized philosophy. A child is born the opposite of selfish/callous (a child has self-centeredness, but this is natural survival drive, and with good balanced loving parents grows into good balanced loving self-awareness) ... and if he/she has become selfish or callous it's 100% gauranteed the fault of the person in its life that thinks they need to "punish" it for being selfish/callous, state which they caused in the first place. And all that with a high-minded notiong of having "Intended Love" for the punished and chastised little brute. Man, this is such the Victorian Child Rearing view of hurting a child for it s own good, so it doesnt become a tyrant. Burchard wants to treat his (and your) inner child in this same way, continuing to abandon and punish it, hating the pain and misery it has felt and acting as though all he, and you, need do is Choose to push it down and Overcome in order to no longer be controlled by the suffering of flawed coping mechanisms. This is no different than any other well-meaning by superficial (albeit eloquent) western philosophy. IN fact it's basically the same as what we've been getting for centuries, and are just now starting to realize has actually been the source of a lot of our pain. We don't transcend by just transcending. If we could we would have done so already. Real transcendence comes from massive inner and external honesty and compassion and acceptance and accountability. Do the real work, feel the real feelings, revel in who you really are, all the flaws and hurts included. Another recommendation is Internal Family Systems work ... really cool groundbreaking stuff. So, good try Brendan, thanks for the eloquent exhortations, but please look a little deeper, and please pull this book and do a new edition with the help of some really insightful therapists. 5.0 out of 5 starsThis book will motivate even the dead! It is right on and a life changer. Oh my , this book became my second bible. I wanted to just take it all in and digest ever word. What a life changer. The authors insights were off the charts, everything I read was like, yes, yes, I get it. True to the title, I was so motivated every day. I read it at the gym every day while on the stair master. I found myself repeating what he said to anyone I talked to. It truly helped me to the next level in my life. Anyone who finds themselves stuck or thinks they may be struggling to get to the next level needs to read this book. 5.0 out of 5 starsThe Motivation Manifesto by Brendon Burchard has rekindled a fire and passion in my soul I haven't felt in years. "Holy cow! Brendon Burchard has tapped into infinite intelligence while writing this book. It has rekindled a fire and passion in my soul I haven't felt in years. If you haven't got yourself a copy and read it yet, do so ASAP!" 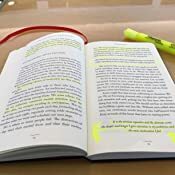 BTW - Since returning to the US, I've brought this book to numerous business meetings and asked people to flip it open to any page and I guarantee they'll find something I underlined on that page that will be profound to them. Have been right each time, so far. That's how every page is in this book...profound. Well done, Brendon! Thank you for sticking to your guns and proceeding with this book, even when the initial publisher didn't get it. That will be a decision generations to come will be thankful for. Get and read this book right away.